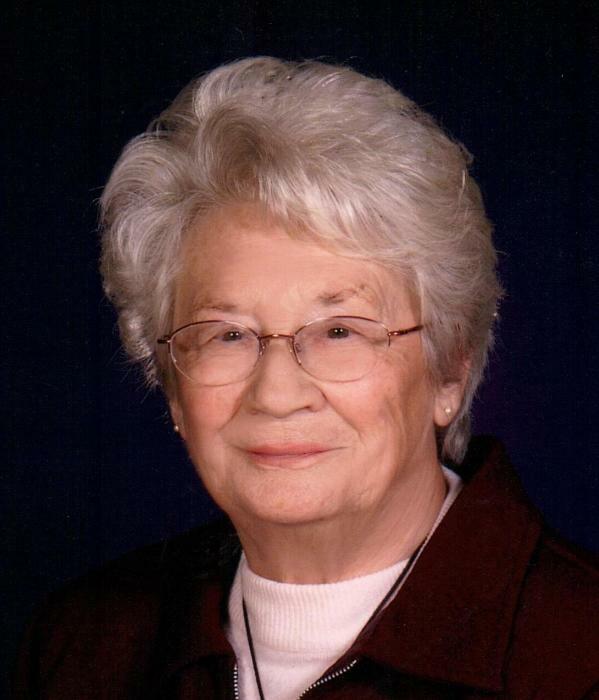 Obituary for June Ditty | McEntire-Weaver Funeral Home Inc.
June Ditty, 89, of Knox passed away Tuesday February 27, 2018 at the Shippenville Healthcare and Rehab Center following an extended illness. Born June 20, 1928 in Ashland Township, June was the daughter of H. Leland and Janiel Knight. June graduated from Ashland High School. On February 11, 1949 June married Paul Ditty who preceded her in death in 2004. June worked for the Knox Library. She was a member of the St. Paul UCC Church. June loved to teach Sunday School, attending church functions, baking cookies and spending time with her grandchildren. June is survived by two daughters, Debra Stewart of Wilson, NC and Paula Cotherman of Knox, three grand children Michael Stewart of Middlefield, OH, Nathan Stewart of Wilson, NC and Wes Hannold of Knox, three great grandchildren Kaelyn and Quentin Hannold of Knox, Dylan Stewart of Middlefield, OH and two sisters Alma Bauer of Indiana and Romayne Koss of Arizona. Also surviving are her long time neighbors Bill and LeAnn Haun who always watched out for her. Along with her husband and parents June was preceded in death by a brother Everet Knight. The family will receive friends from 4 to 7 PM Thursday at the McEntire-Weaver Funeral Home Inc., 504 East Penn St., Knox, and from 10 to 11 AM Friday at the St. Paul UCC Church, 937 Twin Church Road, Knox. Funeral services will be held at 11 AM Friday in the Church with Pastor Ken Tack officiating. Interment will follow at the St. Pauls Union Cemetery. In lieu of flowers the family request memorials are made to the Knox Public Library or the Knox Volunteer Fire Co.